Don Bradman Cricket 14 includes: Career Mode, allowing you to take control of an aspiring young cricketer and take him through the ranks to International glory......Unique Batting and Bowling Controls, giving full 360 Shot control and Line and Length delivery without pitch markers..... A fully featured fielding system that allows you to run down th..
Footy season and this is Rugby League Live 3!!! [b]Game Features[/b] [ul][li] All 2014/2015 rule changes, updates to current 2015 rosters and team uniforms. 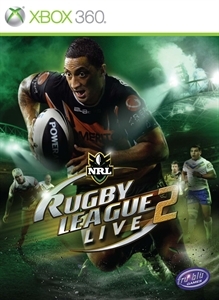 [/li][li] Over 100 teams from Rugby League competitions around the world including the NRL, Super League, Holden Cup, and many more. [/li][li] New Career mode with Be A Pro - take a Fo..